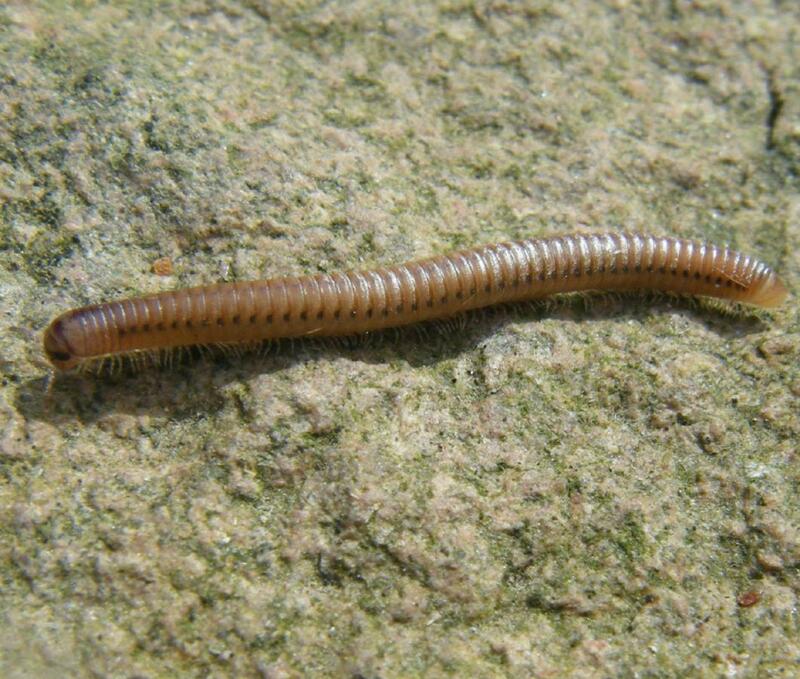 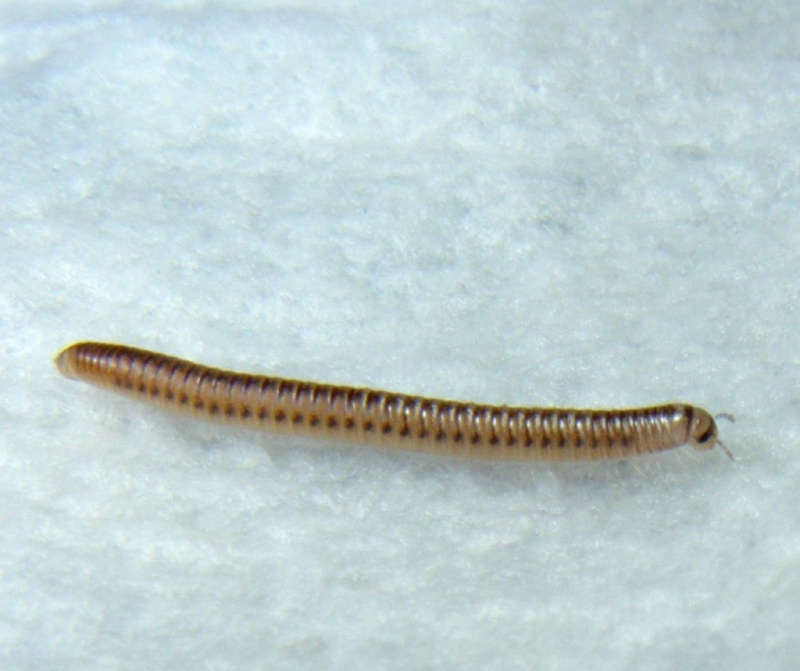 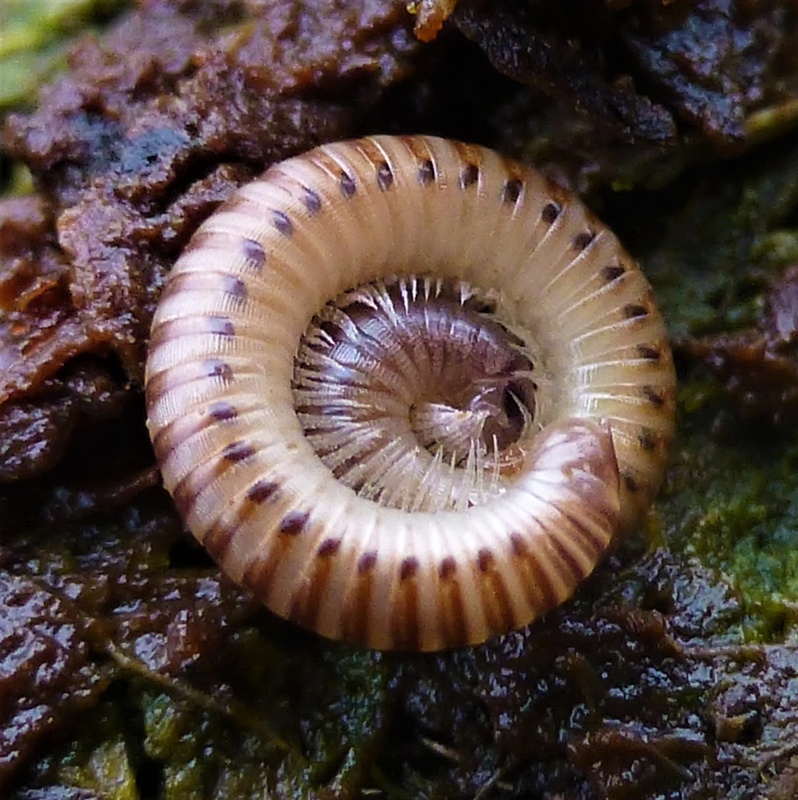 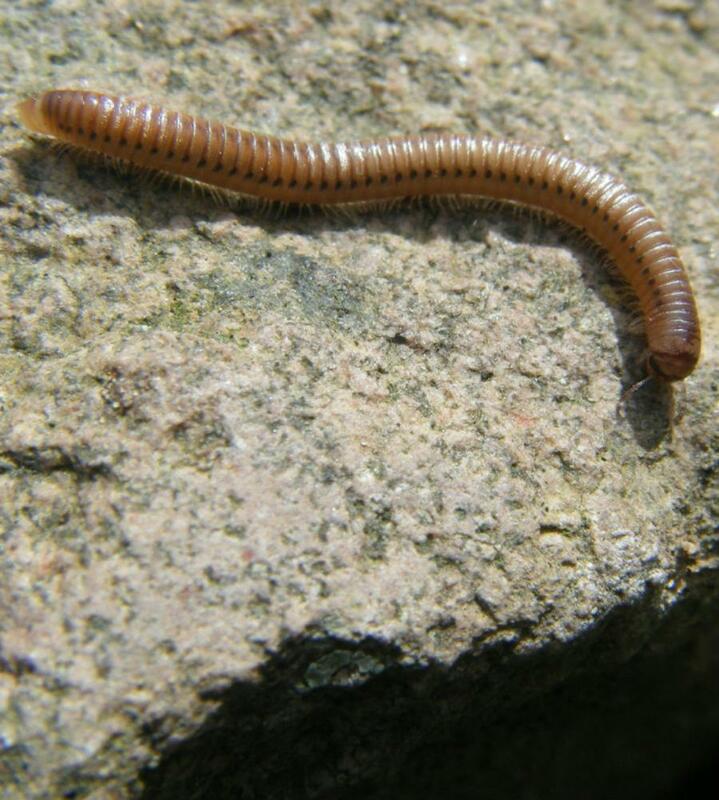 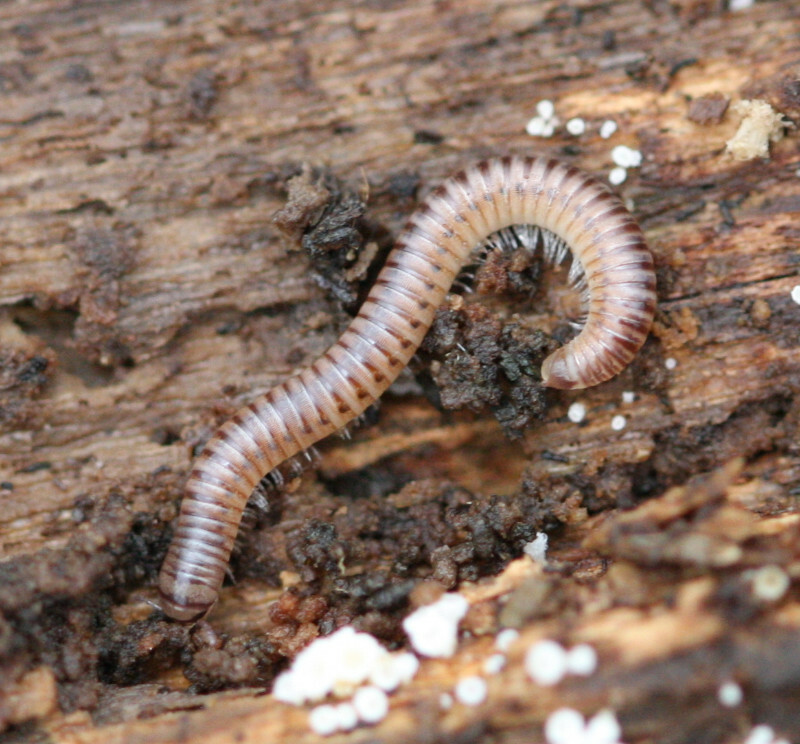 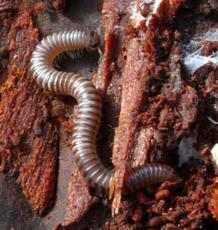 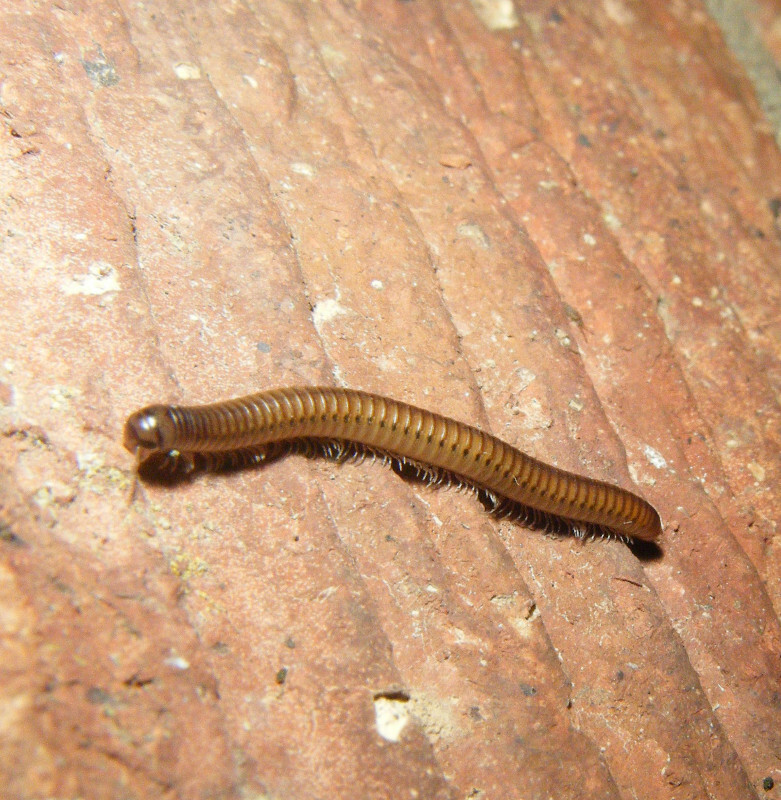 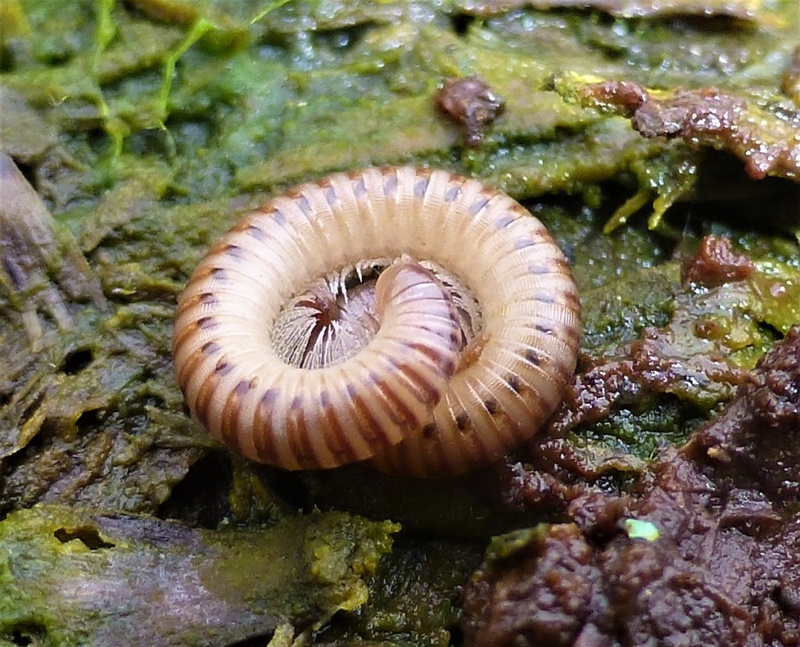 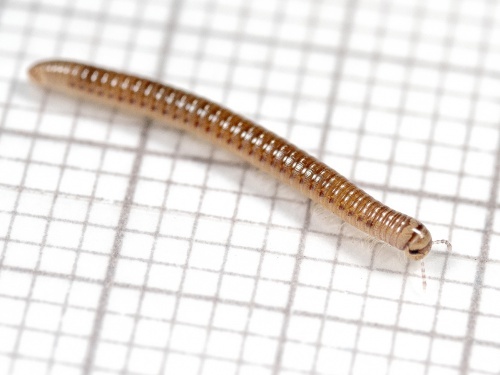 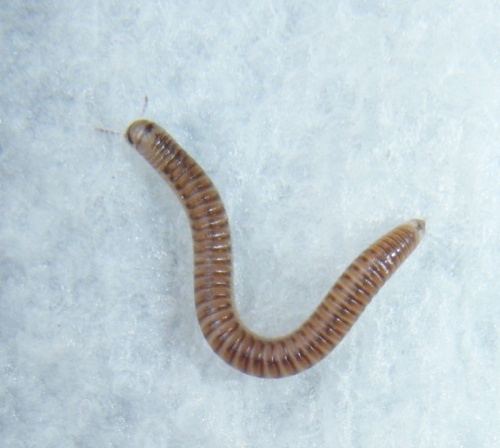 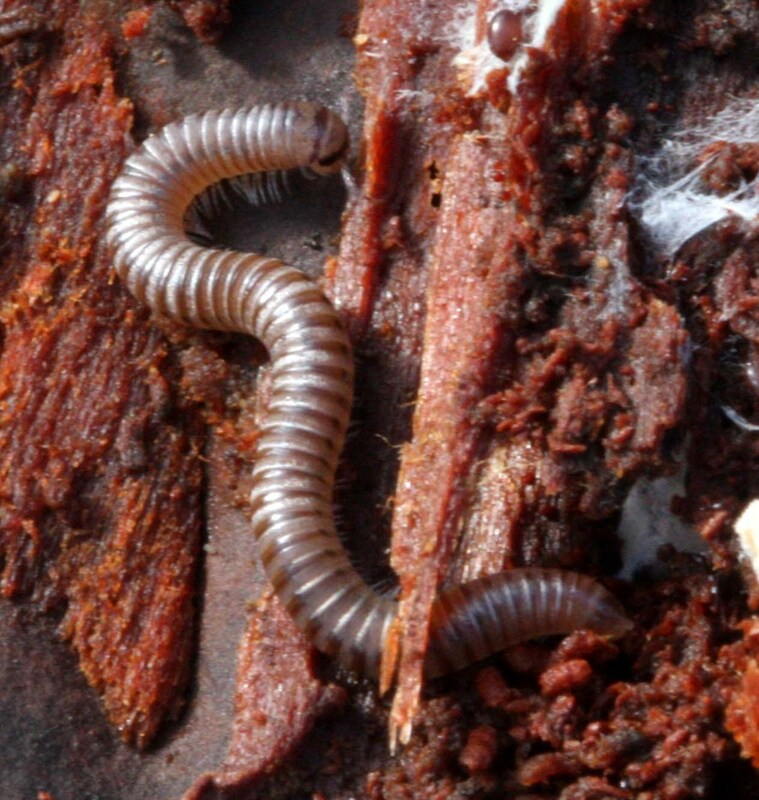 This is a millipede which grows up to 25 mm. 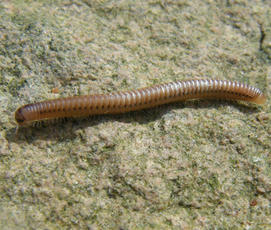 It is pale brown and has a banded appearance, often with darker spots along each side. 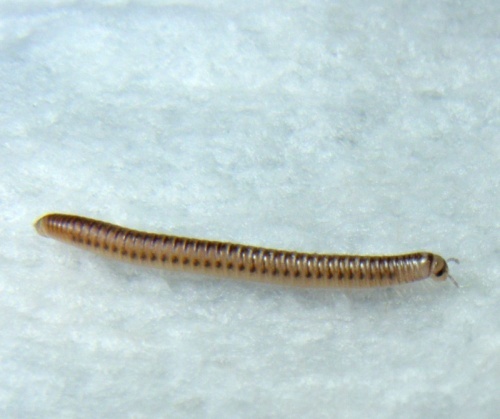 It also has a dark mask across its eyes, though this is not a unique feature and a paler tail end. 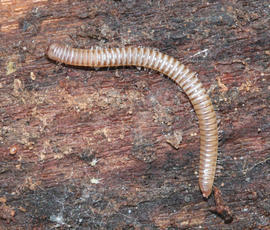 Woodlands and gardens - typically found in rotting wood or leaf litter. Feeds on dead leaves etc.